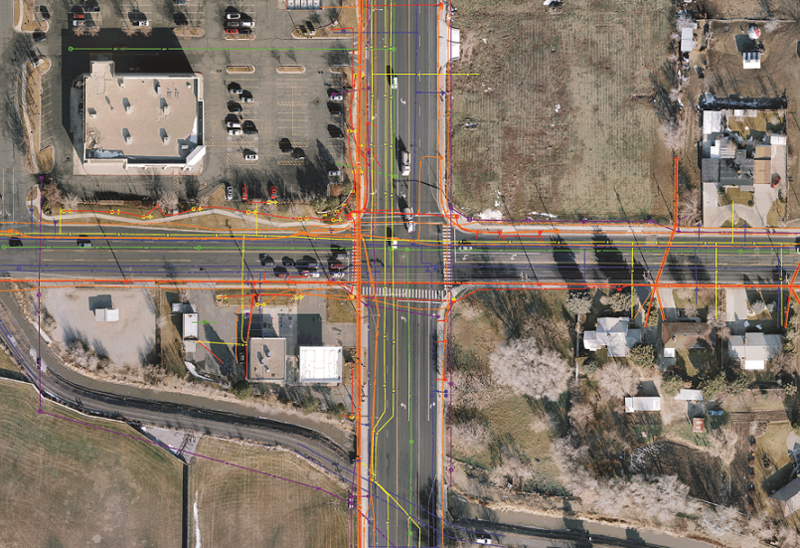 SUE Phase I – QL D, C, and B – Utility Mapping Services, Inc. Counter to what many think, Subsurface Utility Engineering (SUE) is not simply mapping “One-Call Locate” marks. UMS’s strategic approach to Subsurface Utility Engineering (SUE) is designed with each phase increasing in the intensity of designation and delineation campaigns. ⇒Our SUE Phase I operations for a project, also referred to as utility designating or the Quality Level (QL) B mapping effort, is generally meant to provide designers a 2D map of existing utilities based on records research, field investigation, and the use of conventional pipe and cable locators paired with GPS survey methods. The Phase I work includes efforts and processes to achieve the highest quality levels (QL, in accordance with CI/ASCE 38-02) practical without vacuum excavation methods, and generally targets a QL B designation which provides horizontal accuracies sufficient for most preliminary design activity. The Phase I data set generally can result in a mixture of CI/ASCE 38-02 QL D and C for installations that are not readily detectable with standard electromagnetic (EM) equipment, QL B for standard EM detectable infrastructure, and QL A for discrete points where infrastructure is exposed or accessible from the surface. The Phase I designated utility data is provided to the project design team for preliminary design and conflict evaluation, and to identify locations where more detailed data is required.